The Colorado Christian University Women’s Soccer Elite Level Camp is towards high school age female soccer players who are serious about improving their abilities. The Colorado Christian University women’s soccer coaching staff will oversee the whole training program. It will focus on developing both the technical and tactical capabilities of the attendees. This event is also an opportunity for players who aspires to play in college level to showcase their skills. Furthermore, they will receive valuable assessments and instructions from the university’s coaching staff. The event will take place at the Trailblazer Stadium and Colorado Christian University campus. In addition, it will accommodate both residential and commuter campers. Each registration includes a camp t-shirt. Check-in will start at 8:00 AM on Day 1 in Leprino 170. Colorado Christian University is a private, coeducational university in Lakewood, Colorado. It is a member of the Council for Christian Colleges and Universities. It is also a member of the Council of Independent Colleges. The university has an accreditation from the North Central Association as well as from the Higher Learning Commission. Colorado Christian University is Tier 2 in the Regional Universities West, edition of Best Colleges rankings. Currently, the total student population is around 7,400. The university has 12 intercollegiate athletics teams. These teams are competing in the Rocky Mountain Athletic Conference of NCAA Division 2. They call themselves the Cougars. Navy blue and gold are their identity colors. The women’s soccer team is 7th in the last conference standings. The head coach of the Colorado Christian University women’s soccer is Tammy McPherson. Coach Tammy McPherson is a former soccer standout. She is a First Team All-Conference selection and a Conference Newcomer of the Year awardee. She is also a CCU Athletics Hall of Fame inductee. Coach McPherson holds a National Soccer Coaches Association of America National, Advanced National, and Premier Diplomas. Then, the team’s assistant coach is Keri Shannon. Coach Shannon is also a former soccer standout. 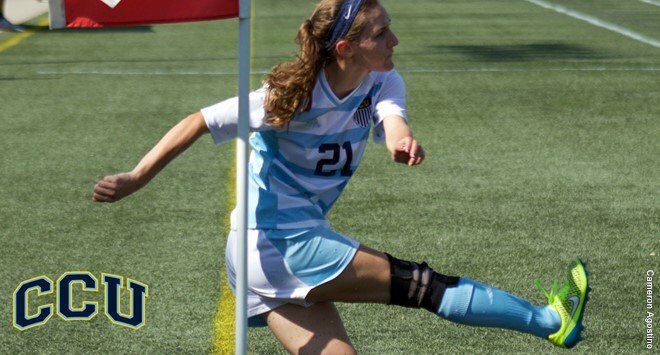 She is an NSCAA First Team All-American member. The Colorado Christian University Women's Soccer Elite Level Camp is a chance for players who aspires to play in college level to showcase their skills.